"Chicago Open Air: We are sailing our long ship directly for you in July. We look forward to burning and sacking your little festival and dancing on the ashes. 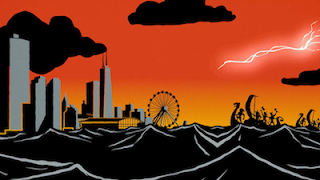 The Viking Ship is coming to Chicago Open Air. When Swedish metal band Amon Amarth takes the stage at Toyota Park in Bridgeview, Illinois on Sunday, July 16 in support of their current album, Jomsviking, attendees will be treated to a visual spectacle. The band's full production plans include the infamous lifesize replica of a Viking ship hull and live Viking fighting! The impressive setup pays homage to the band's Swedish roots and the Jomsvikings, a shadowy and legendary sect of Viking mercenaries. 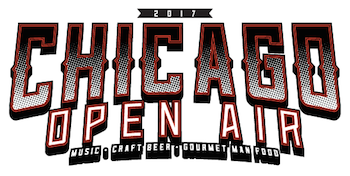 The second annual Chicago Open Air will bring together an all-star lineup of rock's top artists on Friday, July 14, Saturday, July 15 and Sunday, July 16 at Toyota Park in Bridgeview, IL, just outside Chicago. The three-day music, craft beer and Gourmet Man Food festival will feature over 40 performances, including legendary rock artists Ozzy Osbourne, KISS, and Korn, along with Rob Zombie, Slayer, Godsmack, Stone Sour, Megadeth, Lamb Of God, Seether, Meshuggah, Anthrax, Clutch, Amon Amarth, Body Count, and many more.